Prime Minister O'Neill tells Opposition leader Don Polye to stop personal politics with issues affecting the country. 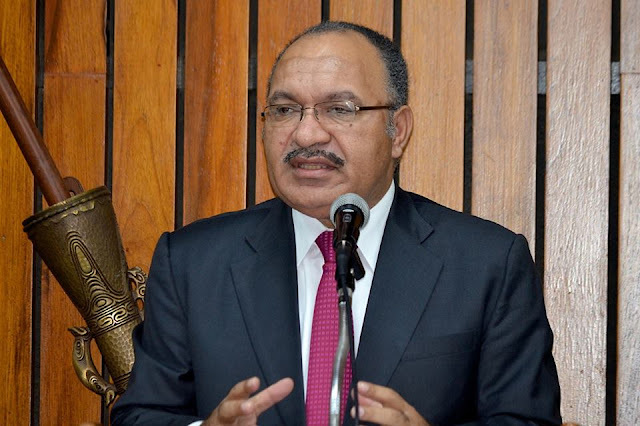 Prime Minister Peter O'Neill has called on the Opposition Leader Don Polye to stop playing bitter personal politics with serious national issues and to start working in the national interest. Mr.O'Neill said this while restating his intention to make 2016 a year of police reform has he earlier stated in his New Year message this week. He said the rollout of measures will begin in January with further announcements at the Leadership Summit on January 17-18 in Port Moresby. “Working with senior police officers we are setting in place procedures that will weed-out rogue and corrupt police,” PM O’Neill said. “In my New Year address we have announced a series of measures that will effect change in our police force. "A new police discipline structure is being implemented at the start of 2016. "This includes a ‘one strike and you are out’ policy. “My message is clear, if you are a crooked cop you will be identified and ejected from the constabulary. “Then in March these reforms will be stepped up when we introduce legislation containing further measures to target and combat ill-discipline by police men and women. “We are putting the discipline back into our police service. “People of our country are fed-up with the constant stream of bad news and allegations relating to police. The Prime Minister also called on the Opposition Leader once again to stop playing politics with serious issues that affect our nation. PM O’Neill said this is particularly relevant since the current serious problems facing the RPNGC began during the lost decade when Don Polye was Deputy Prime Minister. “Police reform is not a game, and the Opposition Leader needs to wise-up. "Do not try to politicise police reform issues. “Police reform is serious business and is not brought about by issuing simplistic press statements.